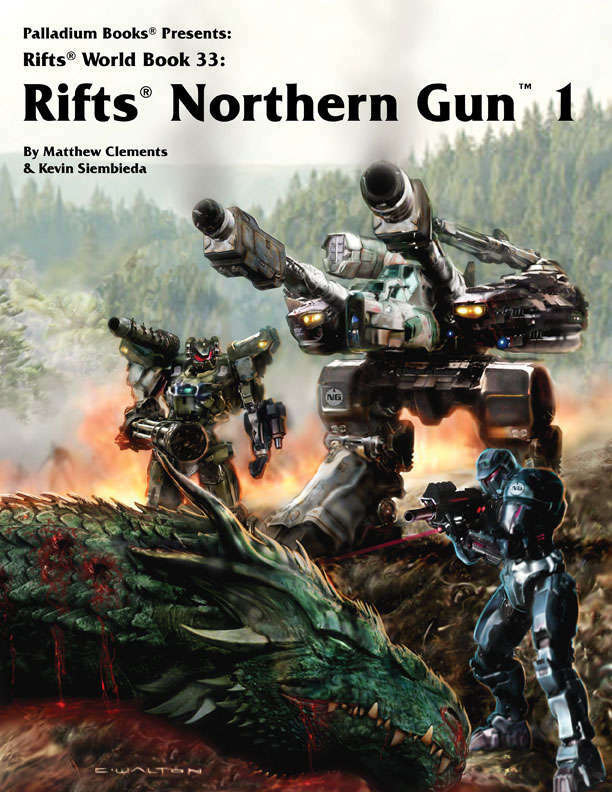 Rifts® Northern Gun™ One is an epic World Book that contains a wealth of information, characters, locations, O.C.C.s, robots and weapons from the largest arms dealer and independent manufacturer on the continent: Northern Gun™. Northern Gun freighter ships and hovertrains. 224 pages written by Matthew Clements and Kevin Siembieda.